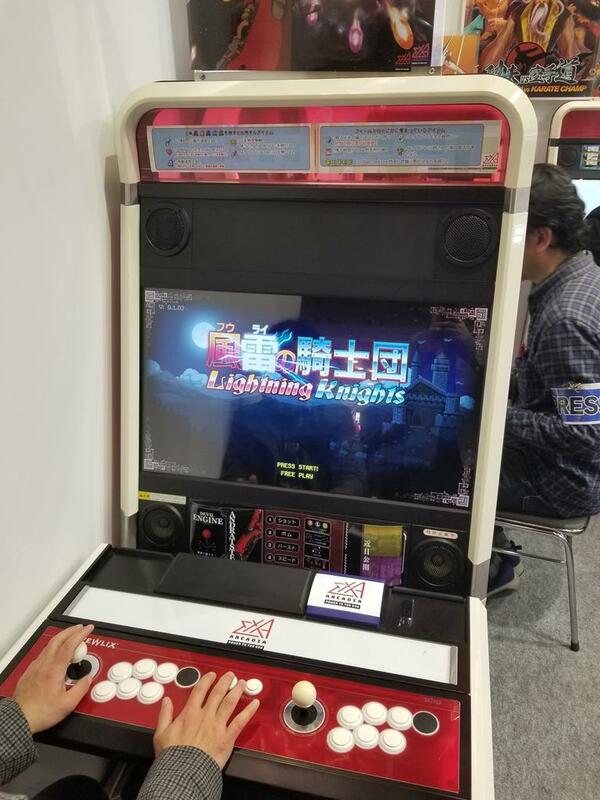 Lightning Knights is the arcade version of Iron Crypticle by English developers Confused Pelican Games and Tikipod. 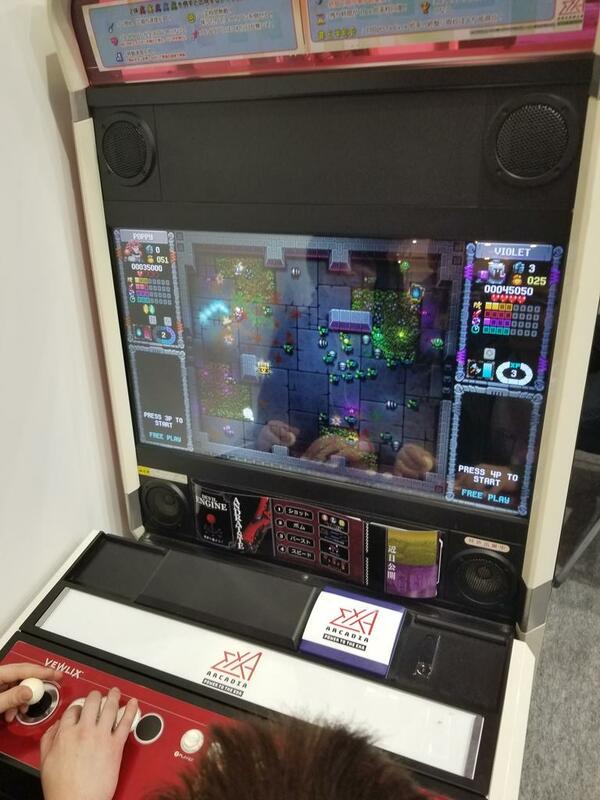 This 4-player dungeon RPG-shooter that will be released on exA-Arcadia. 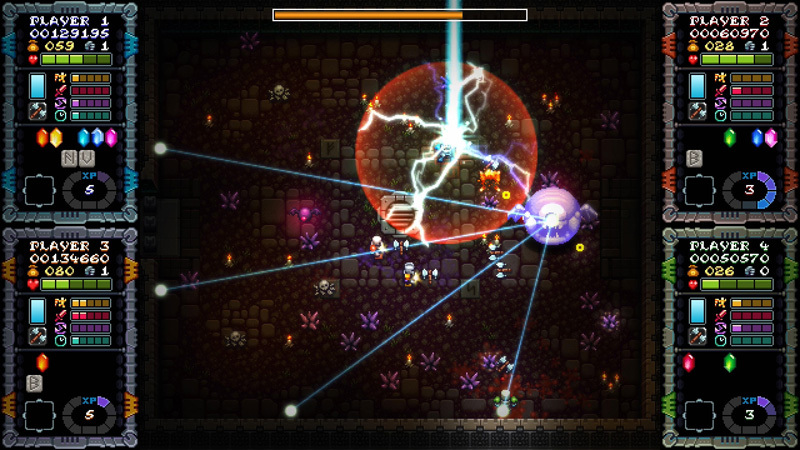 Lightning Knights est la version arcade d'Iron Crypticle des développeurs anglais Confused Pelican Games et Tikipod. Ce jeu d'action RPG pour 4 joueurs sortira sur exA-Arcadia. A mysterious, malevolent force has abducted Cryptonia's princess - along with the king's royal golden treasures (shaped curiously like large foodstuffs...). IRON CRYPTICLE is inspired by arcade classice such as Smash TV - deepened by item collection systems akin to Bubble Bobble / Rainbow Islands - and all placed in a Ghosts and Goblins / Gauntlet style medieval setting! 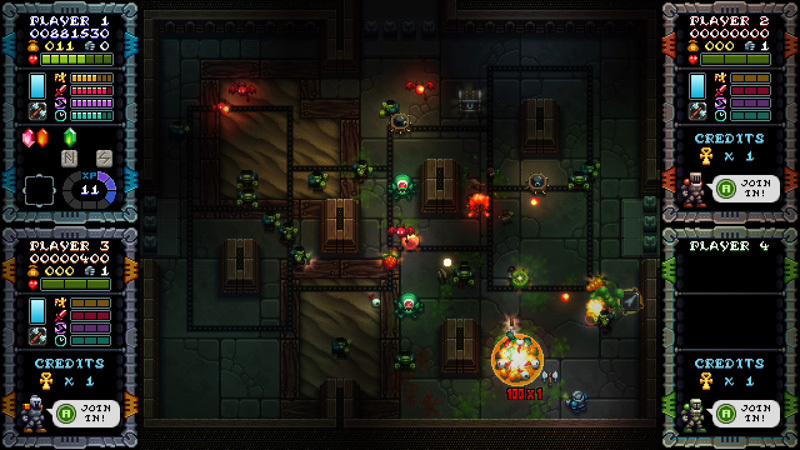 To survive past the Guardians of each floor, you'll need to upgrade your abilities! Speed, Damage, Fire Rate and Weapon Duration can all be upgraded either from shops or through careful chaining of food pickups. Most enemies drop a food item (cake, sweets, fast-food, fruit...). You must try to balance chain-collecting these, against fighting off the hordes of enemies. 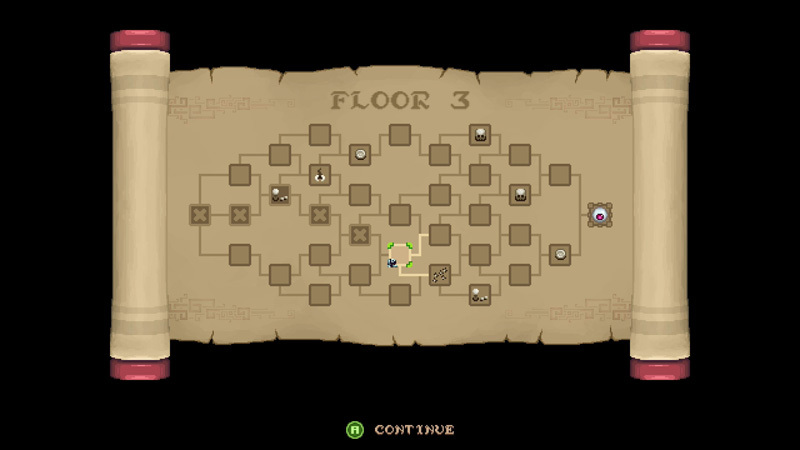 Route selection is very important too, with each floor made up of a branching system of different rooms. Each room type has their advantages and disadvantages - plus with each playthrough the rooms all shift about and reform, just to keep you on your toes! 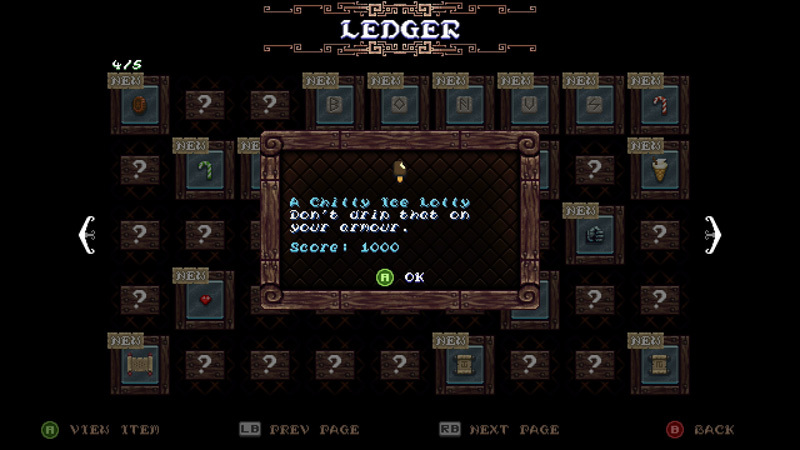 To aid you on your quest there are a range of weapons, magical scrolls and items to unlock. For close combat emergencies you can rely on your dash move for a quick escape, or activate your Atomic Fist to punch a hole in the enemy ranks. 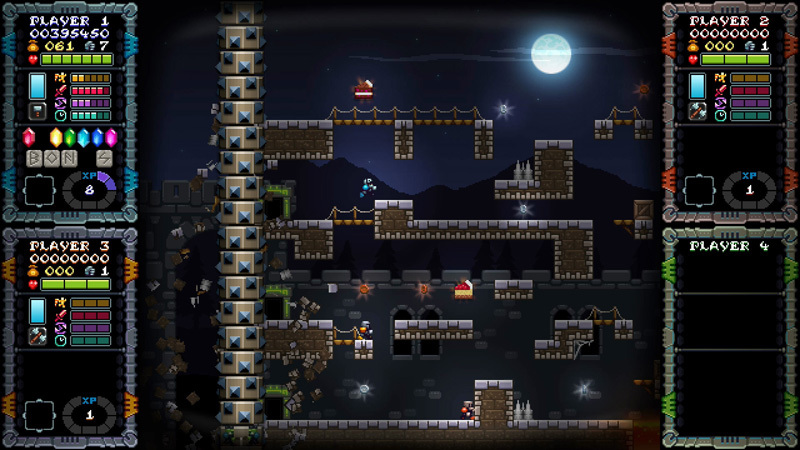 Battle the crypt monsters and large bosses by yourself, or up to 4 player local Co-Op. 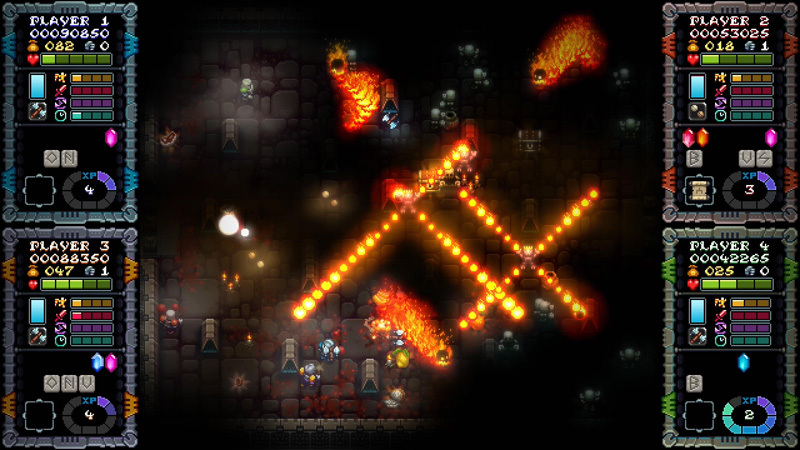 Carefully select your own route - through the mysterious, ever changing palace crypts. 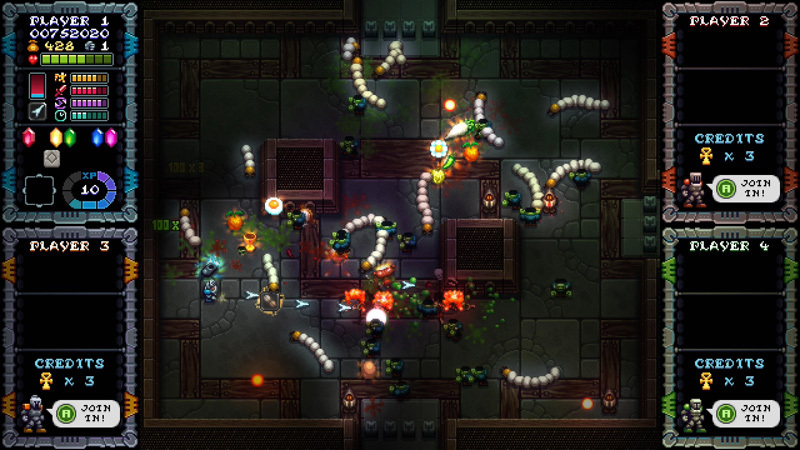 Unlock and fight with a myriad of weapons, magic scrolls and items. Gobble tasty foods and grab shiny treasures to increase your XP. 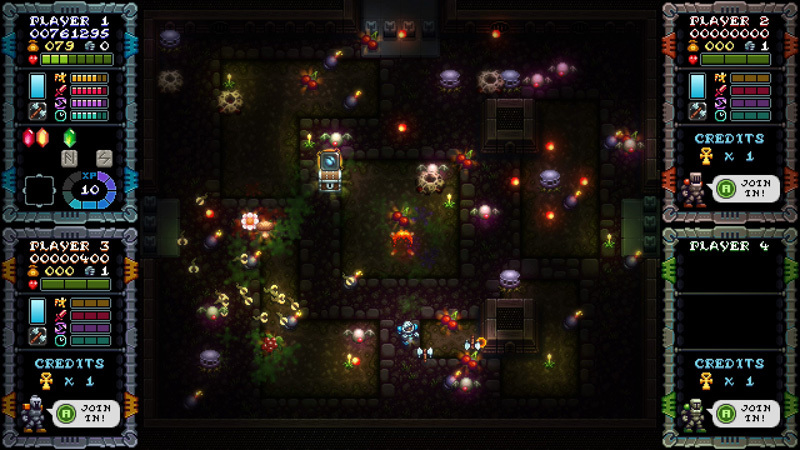 Upgrade your abilities if you want to survive the lower crypt floors. Chaining collecting items or go shopping to upgrade SPEED, DAMAGE, FIRE RATE and WEAPON DURATION. 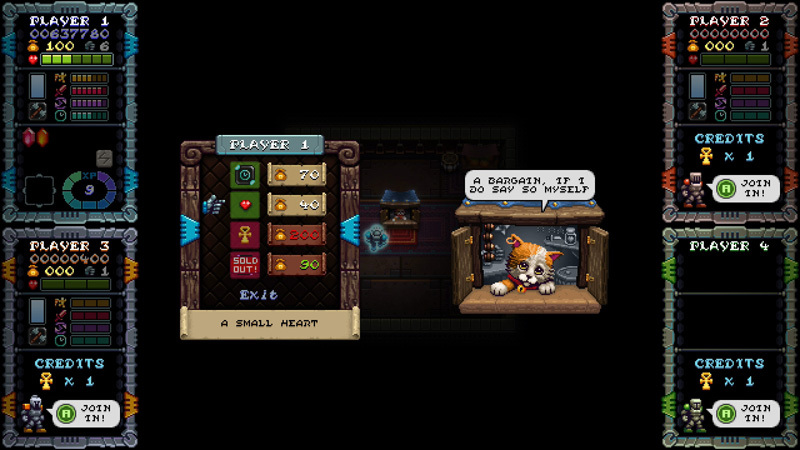 Collect coins, then shop for new items in the cat merchant shops. 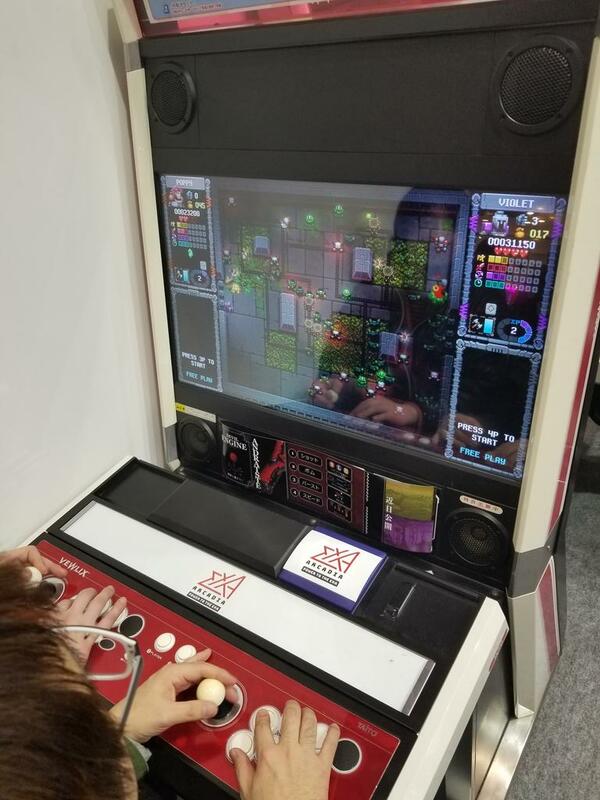 Seek out arcade rooms, and play `Castle Crushers` to win prizes. 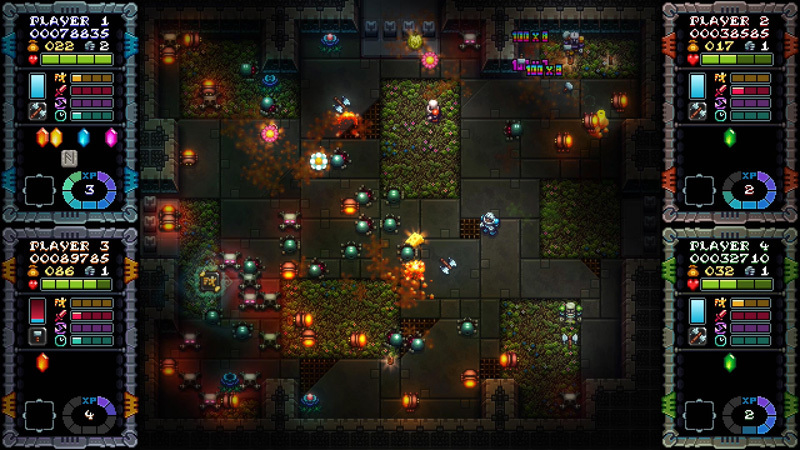 Dash through enemies to both evade and harm them. Collect charges for your Atomic Fist, able to clear away small areas of enemies. Uncover more of the crypts secrets on each playthrough!